We wanted to take a little family vacation before Cole got married and while Larissa was here with us. Because of girl’s camp and other scheduling issues (like school and concerts) the only time we had was Memorial Day weekend. 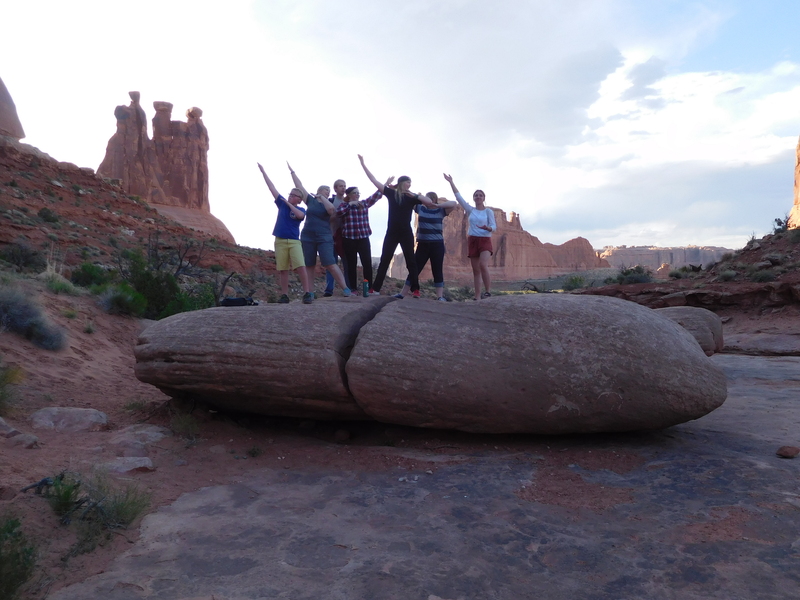 So we decided to go to Moab. Yes, it’s crowded with many travelers, but it’s not too hot. 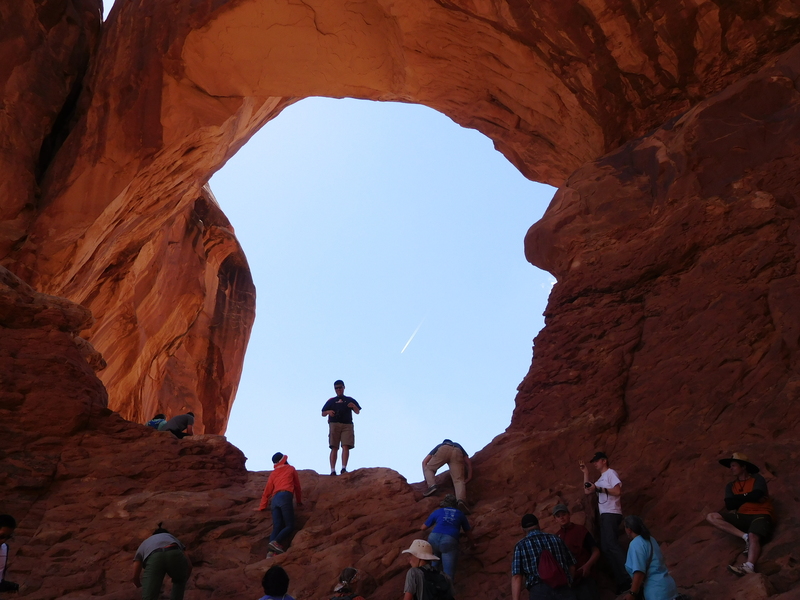 Arches National Park is amazing. I’m wondering why we haven’t brought our kids here before. Seriously! Because it’s always hot? Because we aren’t big hikers? Well, we have missed out. I love that there are So many people here from all over. As you are hiking you can hear so many different languages. And even though we are so different, people are friendly. You can ask almost anyone to take your picture. There is lots of camera trading. 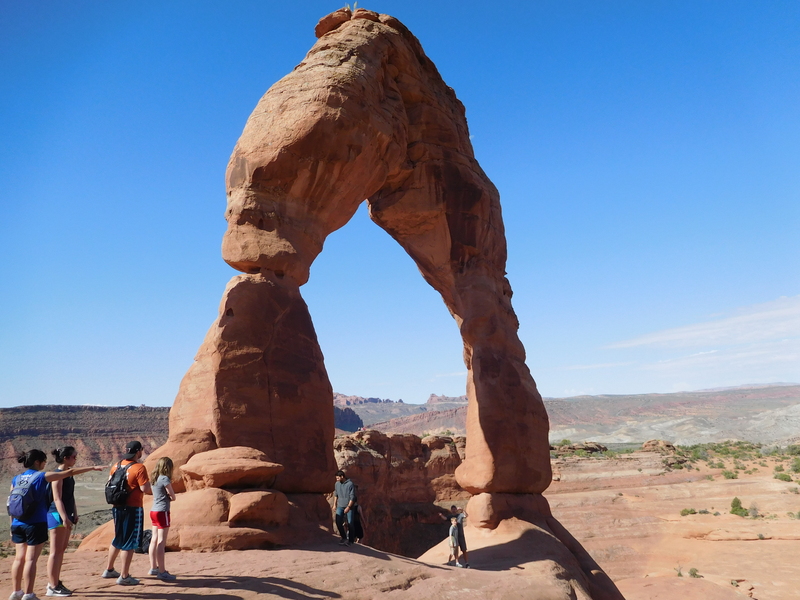 Especially at delicate arch. 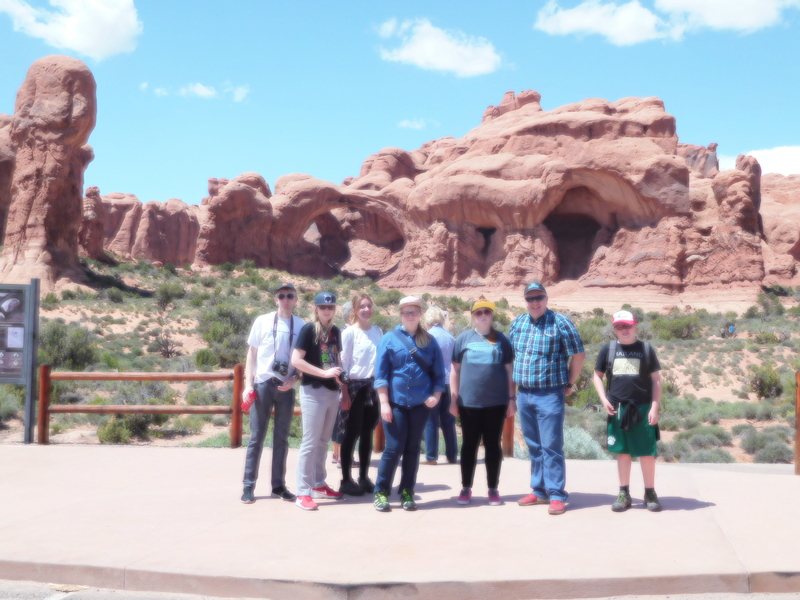 We got here on Friday, and wanted to go see some arches first thing. We went to the windows. Not very far from the road, and you can climb to 4 or more amazing sights! We aren’t all the best hikers, and we don’t like being hot, so I’ll admit there was a little complaining. People were already coming back down when we were starting. But I’m so happy we weren’t any later. Not going to lie. It’s a hard hike. Especially for people who don’t hike. Did I mention we don’t really hike? It’s a mile and a half of UP. The kids were almost always ahead of me, but I did make it. I love how people will just hand strangers their camera, and you take their pictures for them. 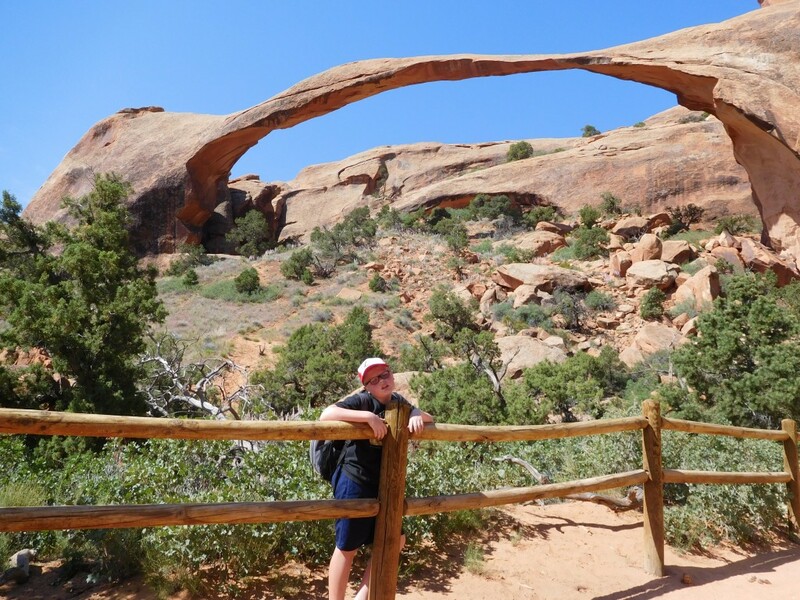 One lady asked me to take pictures with her phone, and while waiting for them to get under the arch, I took a few other goofy pictures. They will get a surprise when they look at them. 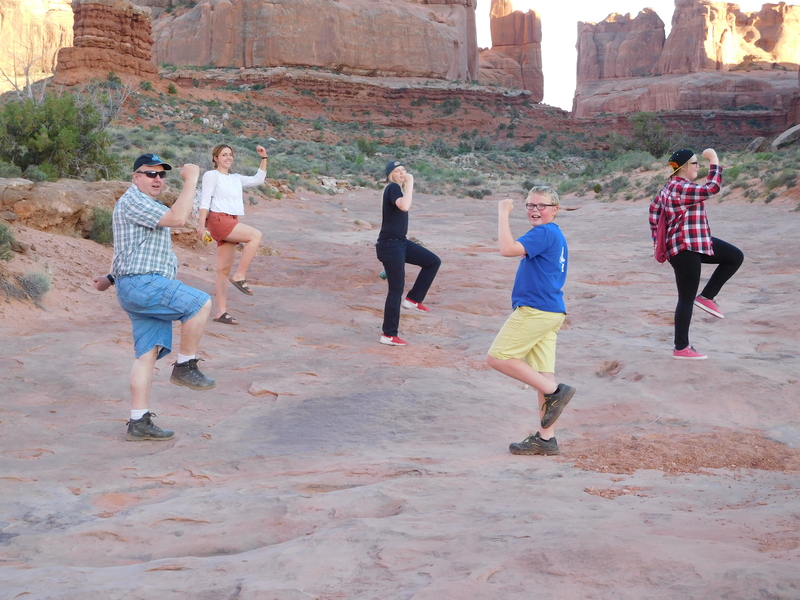 Later that day we went to Dead Horse Point. Amazing! The kids were hiked out, though, and didn’t want to “hike” much, so it’s a good thing you could drive up to the lookout. 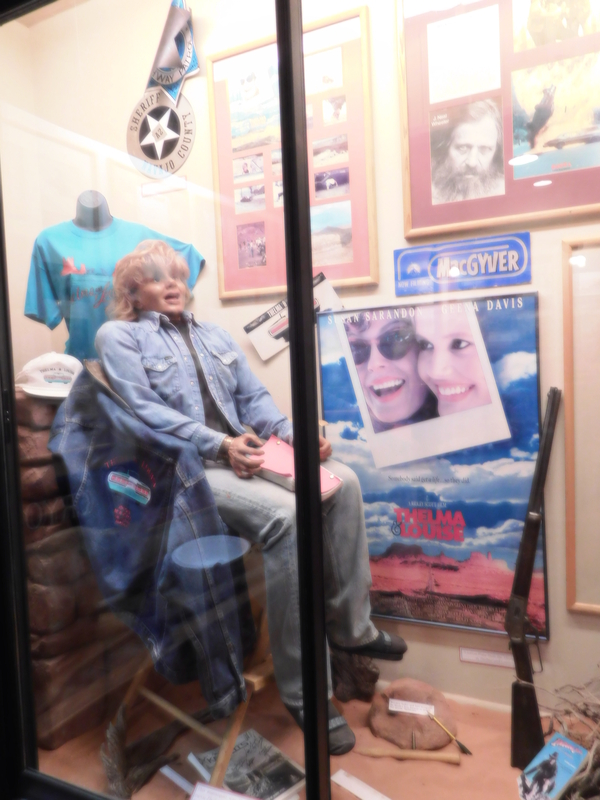 On Sunday, after church and lunch at Denny’s, we went to the Moab Movie Museum. Small, yes. But free. And fascinating! Larissa quickly got bored and ended up walking around the lodge, but I loved it. Watched the whole 15 minute movie and looked at all the posters and memorabilia. 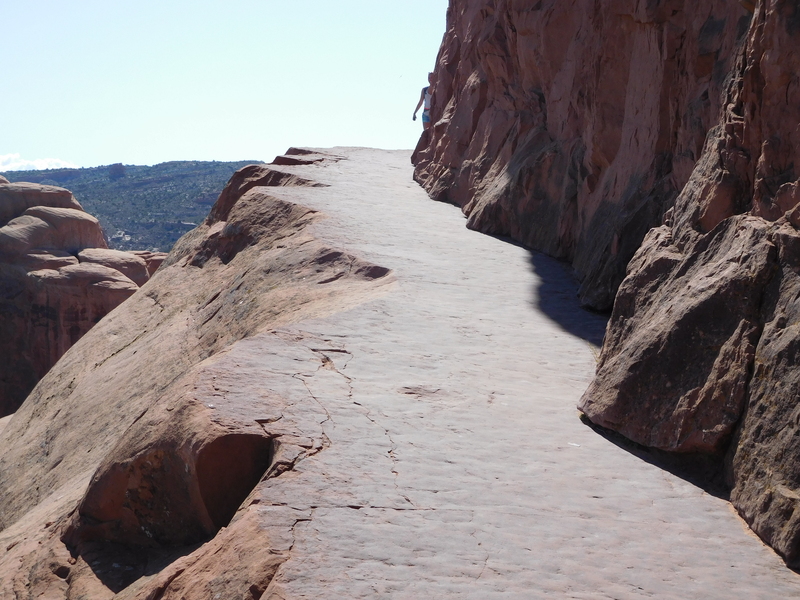 Plus, it was out at the beautiful Red Cliffs Lodge. As we drove back to town we saw SO many people rafting, kayaking, or paddle boarding in the river. And we wished we had our bikes so we could ride along the trails by the river. 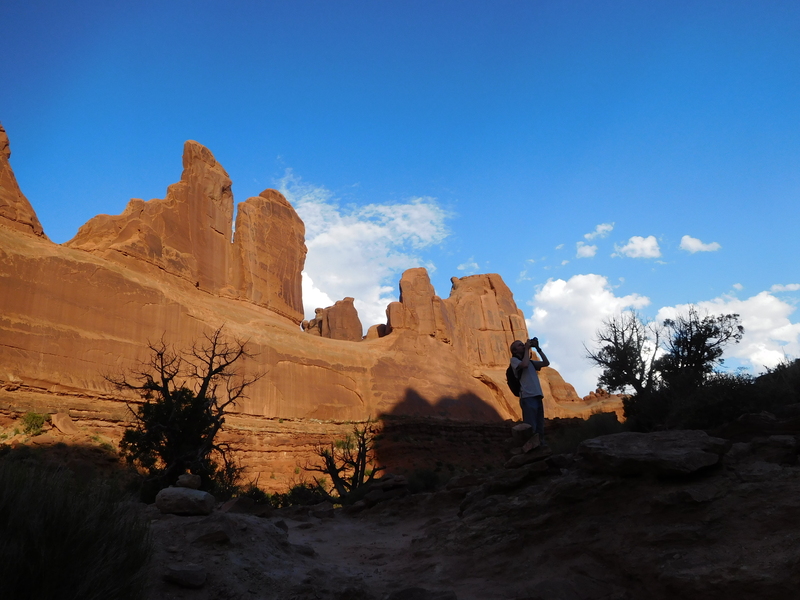 Later in the evening, we went back to Arches to walk through the Park Avenue. 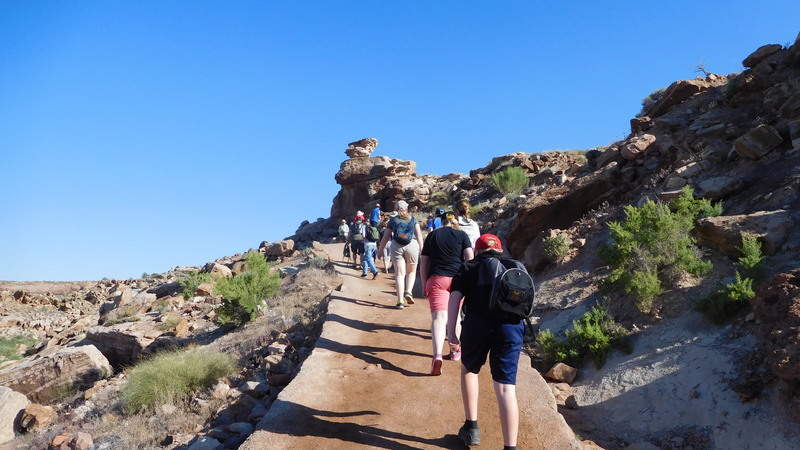 It’s a 1 1/2 mile “hike”, but it’s not climbing, so it was a great hike to walk, talk, goof around, and for John to climb on rocks. 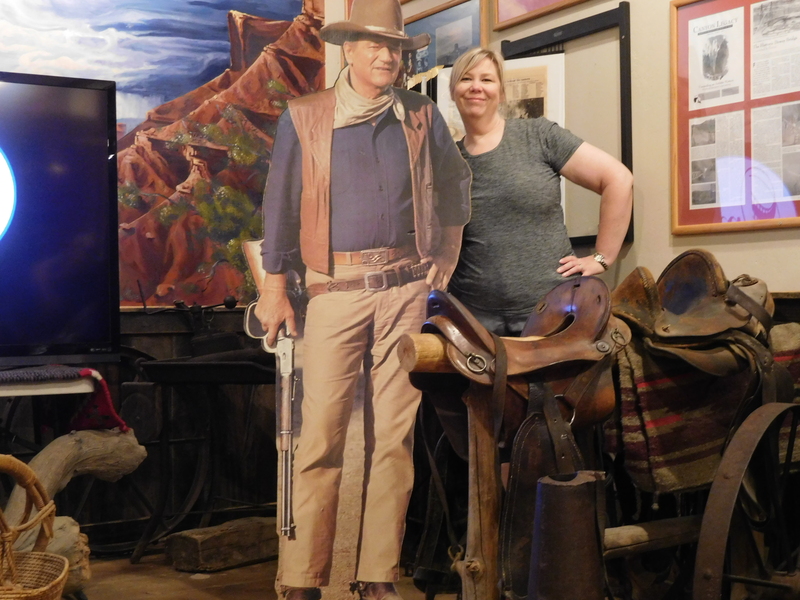 This may have been my favorite area in the park. I don’t remember ever walking through here before. And in the evening, the colors are spectacular, and there’s no need for sunscreen. 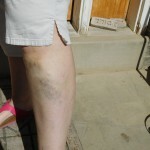 While climbing up on a big rock, I scraped along my leg. Not hard enough to break the skin or even bleed, but when I stood up, the veins on my leg were super swollen and blue. 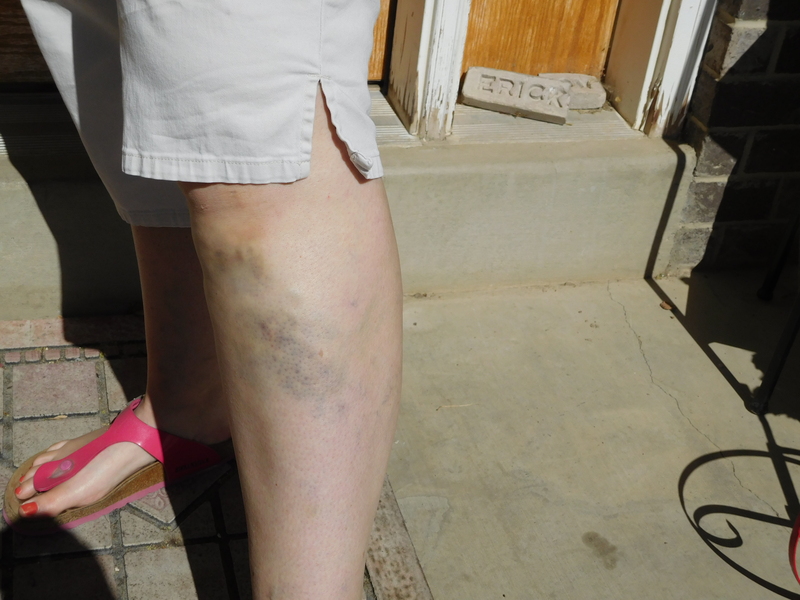 I don’t know what I did, but I’ve got quite the bruise on my leg, now. Dumb varicose veins. Larissa collected flowers all along the trails. She’s probably not supposed to do that, but we looked the other way. She stuck them all in a book to dry. Monday was our last day. 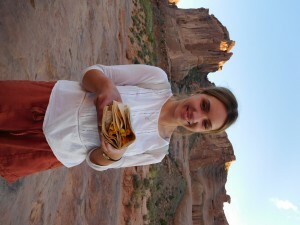 Larissa went on a hike with the Englebrights that morning, and we decided to go to see landscape arch. 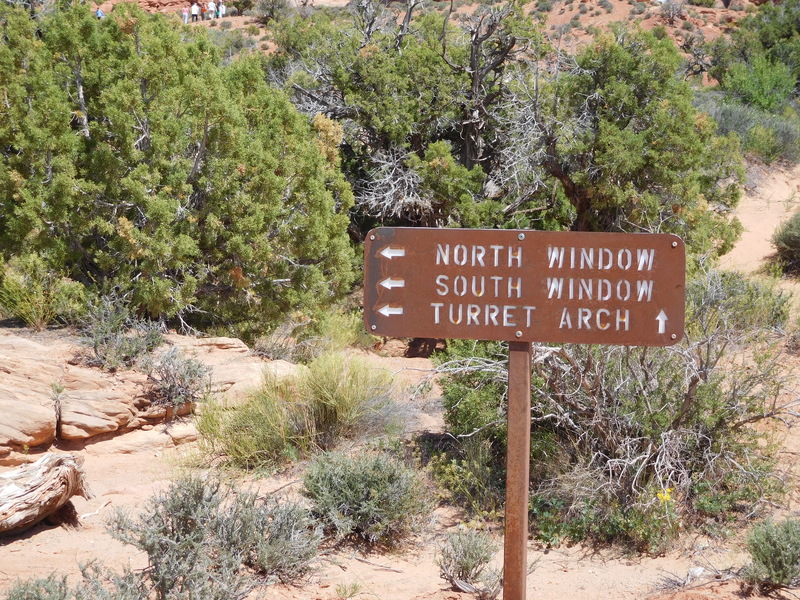 Along the way we also saw pinetree arch. It made it a 3 mile hike, and it was just starting to get warm when we finished. We did a lot of bird calling to each other and were so goofy. 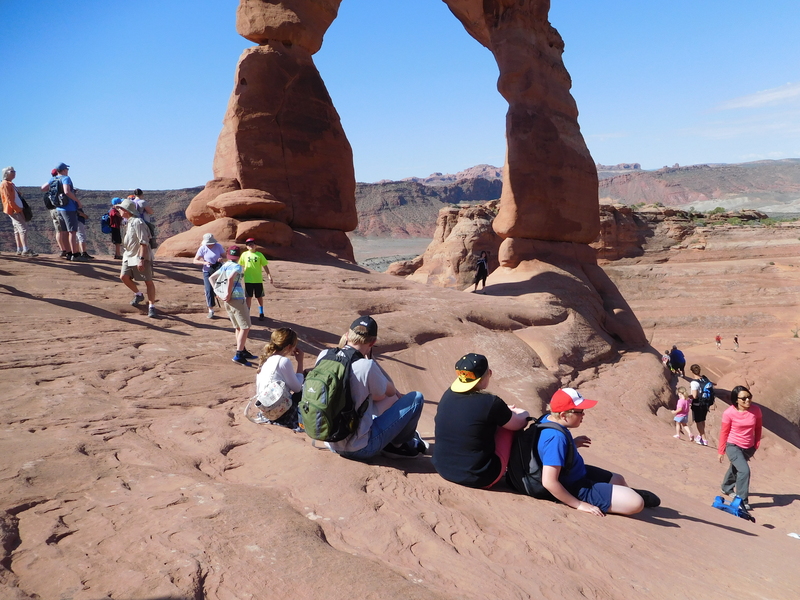 I think the kids were just relieved that they could go home and not have to hike any more. It really was a GREAT weekend. Yes, it was crowded, and hot (but not HOT), but it was so beautiful, and so much fun. When my amazing friend Melinda got married to her sweetheart, Paul, it was a big deal. For all of us. 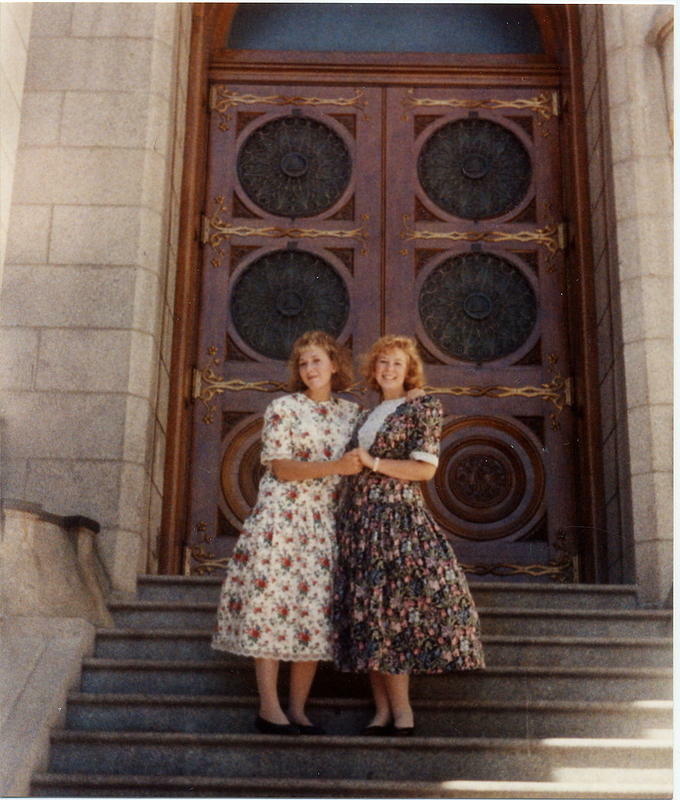 Melinda had been one of my super best friends in high school, and we roomed together at BYU for two years. We shared everything. We lamented over boys, grades, lack of sleep, assignments and papers. We said goodbye to all our missionary aged friends, and we made fantastic memories together. So, when she and Paul got married, it was kind of like the end of an era for me. We were graduating from college, she was getting married, I was going on a mission, we were growing up. 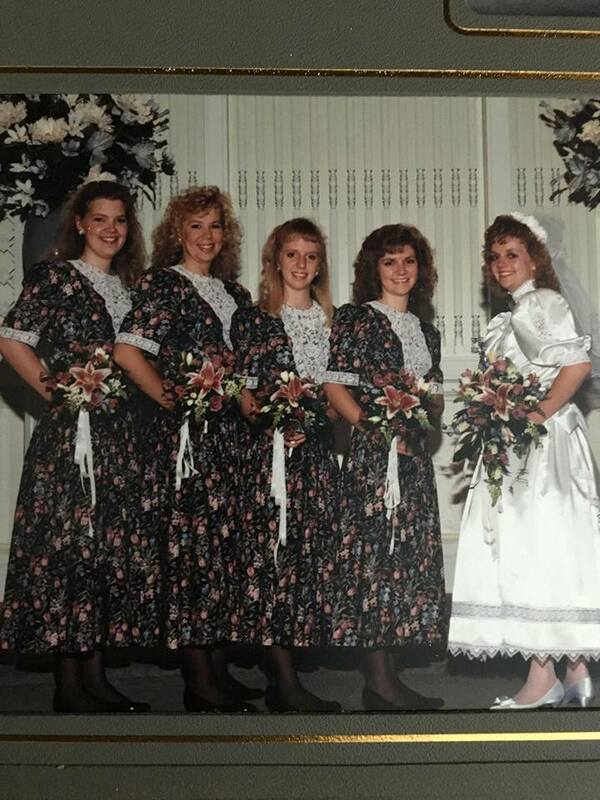 I know there are plenty of jokes about bridesmaids dresses, but this one was lovely. Not poofy or unflattering, but a dress that I wanted to wear again. 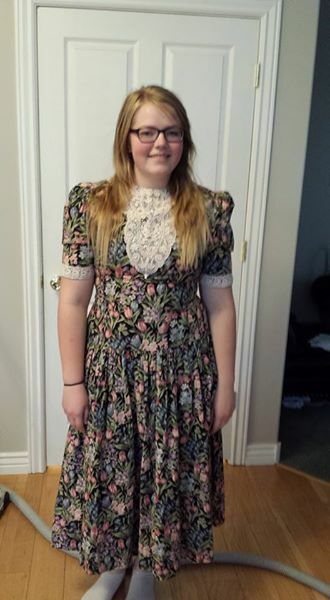 Her grandma sewed these dresses, if I’m remembering it correctly. And she worked in a fabric store at the time, so she picked out some lovely fabric. Anyway, I really loved that dress. There’s a lot of hair there, I know. This was back when I permed my hair every six months. But aren’t we pretty in our matching dresses? I wore it after the wedding, as well. This was was with my roommate, Laurie. I don’t know why we were at the temple, unless it was for her sister’s wedding. But I was wearing that dress. I even have pictures from me in the MTC wearing that dress. I didn’t take it with me to Germany because I didn’t want it to get ruined and worn too many times. 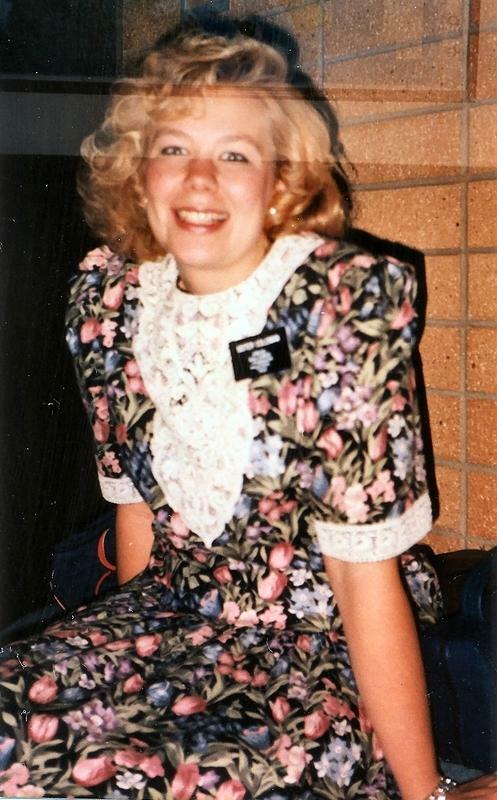 But I did wear it in the MTC. Again, Not a great picture, but you get the idea. Well, soon after the mission, I got married, and the weight crept on. No longer did I fit into that dress, but I still kept it. I also kept the dress that I wore on our wedding day before the wedding dress. It’s also special to me. Soon, these two dresses and a few other sentimental clothing items were in a box up at the top of the closet. But I’ve been cleaning out the closet (after I read the life changing magic of tidying up), and I’ve gotten rid of quite a few things. Bags of shoes and clothes, and I still have a LONG way to go to declutter, but at least it’s a start. What to do with those two dresses that I love, but that do NOT fit. I actually even tried them both on, just to see. Nope. I even texted Melinda and told her that I still had this dress, and how much I have loved it throughout the years, and to thank her for picking such a lovely dress for her wedding. She was sweet, and said she’d actually like to have it, if I was getting rid of it. So, I was prepared to do that. I brought it down before book club so I could take it to her, and my daughter snatched it up. “Where did you get this dress? It’s so retro! Can I try it on?” I told her she could try it on, but she couldn’t make fun of it, because I really loved this dress. She put it on, and it fit her. 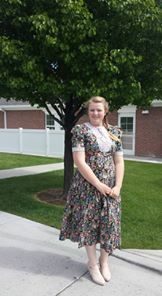 She posted a picture of herself in that dress on her instagram and got a LOT of nice comments, so she decided to wear it to church today. I’m so glad I kept that dress. Flowers and lace are coming back in style. She may take out the shoulder pads, but she really likes that dress, and it makes me so happy to have it be loved again. Sentimental? Yes. I will always think of that as MY dress, but I’m so glad that I can share it with my daughter, too.